A well-respected freelance journalist Clive Woodbridge has been writing about shipping, ports and logistics related issues since 1982. 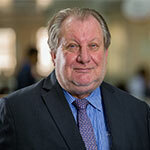 For more than 30 years he has contributed to some of the leading publications in the industry, including Lloyds List, Seatrade, Cargo Systems, Container Management and Containerisation International, and has particular expertise in the shipping and maritime sectors in the Middle East. 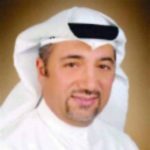 Sheikh Talal Al-Khaled Al-Sabah is currently the CEO of KOTC and has many years of senior leadership experience in the Oil sector. Prior to his current assignment, Sheikh Talal was the Managing Director (Government and Parliament Public & Media Relations) in KOTC’s parent organization, the Kuwait Petroleum Corporation, and the Chairman of KOTC’s Board of Directors. He also serves as a distinguished Chairman and Board Member in other oil sector companies in Kuwait. As a leader, he has always placed great trust and faith in the inherent capabilities of his people. He has always encouraged the youth to explore and develop and reach to their maximum potential, while being a fully supportive leader. Sheikh Talal is also quite well-known for his passionate championing of various Corporate Social Responsibility (CSR) initiatives in Kuwait. He firmly believes that sustainable development is a must for maintaining the health and meeting the needs of our community by living in the Earth’s ecological limits while at the same time, without compromising the needs of future generations. He is a positive, proactive and action driven leader who is highly connected with all the oil sector employees and the people of Kuwait. Capt Abdulkareem Al Masabi is leading ADNOC Logistics & Services, an ADNOC company formed in 2017 from three ADNOC Group companies (ADNATCO-IRSHAD AND ESNAAD). Before assuming his current role in April 2018, Captain Abdulkareem Al Masabi was the Executive Vice-President of the Ports Unit at Abu Dhabi Ports, where he was responsible for all of Abu Dhabi Ports’ day-to-day operational activities. 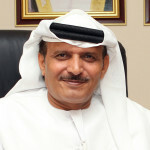 Prior to this role, Al Masabi was the Vice President at Khalifa Port. He joined Abu Dhabi Ports as Senior Operations Manager in 2009 with over 11 years’ experience in the shipping and ports industry. Before joining Abu Dhabi Ports, he was marine operations manager with the National Gas Shipping Company, an ADNOC Group company. Before that, he was a senior marine superintendent with Gulf Energy Maritime. For the eight years before that, he was with NGSCO, where he rose through the ranks on board the company’s LNG/oil tankers, from third officer to master/chief officer, where he provided operational leadership for the ports’ growth. While there, he led the Khalifa Port to being named Port of the Year in 2014 and 2015. He also was recognized as the Outstanding VP/ EVP at the Abu Dhabi Award of Excellence in 2017. Capt Abdulkareem graduated from South Tyneside college from UK as a Master Mariner in addition he has an executive Masters in Business Administration, business Administration and management, general (2013-1014). Capt. Anoop Kumar Sharma is the Chairman & Managing Director of The Shipping Corporation of India Ltd (SCI). 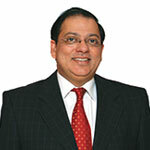 Prior to his current appointment, he was the Managing Director of Essar Shipping Ltd (ESL). Capt. Sharma is a Master (F.G.) and holds a Diploma in Marketing Management from Narsee Monjee Institute of Management Studies, Mumbai. He is a Fellow of Institute of Chartered Shipbrokers, London and holds a Licentiate of the Insurance Institute of India. He has also completed a programme in Executive Business Leadership from ISB Hyderabad. Capt. Sharma is President of Indian National Shipowners’ Association (INSA). 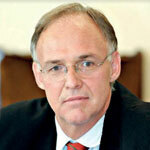 He is also Director on the Board of BIMCO (Baltic & International Maritime Council) & Indian Register of Shipping. He is the Vice Chairman of ICS (London) Mumbai Branch, a member of Services Export Promotion Council. Capt. Sharma is also associated with various Classification Societies such as American Bureau of Shipping (ABS), Bureau Veritas (BV), Lloyds Register of Shipping (LRS), DNV-GL etc. as a member of their various Committees. Capt. Anoop Sharma has served the shipping industry for over 35 years at various responsible levels. He started his career from T.S. Rajendra after which he joined SCI in 1982. At SCI, after a successful sailing stint and after obtaining command, he shifted to an on-shore role in 1992 as a Technical Superintendent. 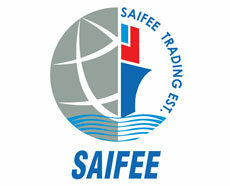 In all, he has had a varied and enriching experience of approx 26 years in SCI in Technical, Commercial – Purchase & Corporate Chartering thereby elevating himself to a role responsible for formulation of strategy & exploration of global business opportunities for various type of vessels under SCI’s portfolio. Capt. 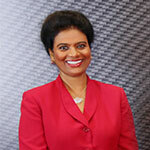 Sharma joined ESL as a CEO in 2008 and subsequently served on the Board of ESL for many years. He was elevated to serve as the Managing Director of ESL in November 2015. At ESL, Capt. Sharma has been successful in completing various financing transactions for new ship acquisitions/replacements and obtaining necessary credit lines from financial institutions. At SCI, Capt. Sharma is formulating and implementing new strategies in operational, financial and HRM areas to take SCI to greater heights. 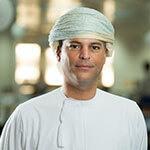 Tarik Al Junaidi joined OSC in 2005 as Head of Commercial, including Business Development. He was promoted to Deputy CEO and then assumed the role of Acting CEO until he was promoted to Chief Executive Officer in the year 2015. Prior to joining OSC, he worked for HSBC, in Financial Planning and Global Enterprise looking after Sales and Marketing. In terms of education, he recently completed an Executive MBA in Shipping, Finance, and Offshore from BI Management School in Norway and Nantong Technical University in Singapore. Prior to this, in 2004, he completed an MBA from The University of Western Australia, after graduating from The Florida Atlantic University, USA with a BSc. in International Business & Marketing. Khamis Juma Buamim was appointed as the Executive Chairman of Drydocks World and Maritime World in May 2010 and has successfully led the organization through its restructuring during a global financial crisis. His leadership and direction have been instrumental in the company being able to acquire several pioneering projects on a global scale. This leadership has seen the company move from close to financial failure, create major synergies, recognize potential and place the organization firmly on a path driven to sustainable profitability and growth. An oil and gas industry veteran, he was Chairman and Chief Executive Officer of Regional Clean Sea Organization (the Gulf oil industry organization). 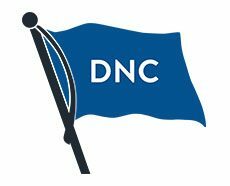 Prior to joining RECSO, he was with Conoco and ConocoPhillips for 26 years in various management positions, including Vice President of Dubai Petroleum Company (DPC), a ConocoPhillips affiliate company in the United Arab Emirates. He is also the Chairman of the Dubai Council for Marine and Maritime Industries and the Federal NTA committee for the review and update of the maritime law and member of the advisory board of the Emirates Classification Society, TASNEEF. He has also served as the Chairman and CEO of Dubai Drydocks and Dubai Maritime City, the Secretary General of the UAE Oil & Gas Human Resources Group, led the Dubai Petroleum Management Incident Command System, was a Member of International Human Resources Management and Advisor to the Gulf Career Development Forum, Secretary General of the Dubai Government Oil Spill Task Force, the Crisis Management Team of Dubai and the Region and Senior MENA region Advisor-Global Energy. He holds a Degree in Business Management and Economics and a higher accreditation on the International Human Resources Management from the UK and has various outstanding accomplishments and certification including the National Management Certification in Incident Command Systems from Texas – USA. He is currently the Deputy CEO of KOTC, holding charge of the Fleet Directorate which includes all operational matters for Fleet which include the Fleet Marine Operations, Engineering, Personnel, New Building Projects, the Marine Agency Branch and the LPG plants in Kuwait. Prior to this, Mr. Ali Shehab was the Manager for Fleet New Building Projects, and was largely responsible for KOTC Fleet Renewal plans as well as inducting modern environment-friendly technologies on-board all the vessels. While stationed at Ulsan, Korea from 2005 to 2007, as KOTC Site Manager at Hyundai Heavy Industries (HHI), he was awarded the Ulsan Honorable Citizenship by the Ulsan City Mayor in Oct 2007. He also serves as a distinguished Chairman and Board Member in KOTC subsidiary shipping companies. He is also the Chairman of the DNV-GL Middle East Technical Committee – which is the No.1 Classification Society in the world, and a member of ABS – South East Asia and the Middle East Technical committee. As a leader, he has always placed great trust and faith in the inherent capabilities of his colleagues. He has always encouraged them to explore and develop and reach to their maximum potential, while being a fully supportive leader. 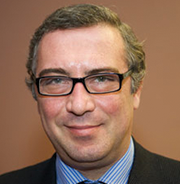 Mr. Petros Doukas has a Ph.D. in Economics from New York University. He studied Economics and International Relations at George Washington University (Bachelor of Arts), Management and Fiscal Relations at Columbia (MBA) and Economics at New York University (MA and Ph.D. in Economics). From 1979 to 1985 he worked as an Economist and Currency Analyst for Citibank in New York, and also as Foreign Exchange Exposure Management Advisor, Foreign Exchange Dealer, and Money Market Dealer.In 1986 he took over as Citibank Investment Banking Country Head and Country Treasurer for Greece, and in 1990 also took over as Country Head for the Institutional and Corporate Banking sectors. From August 1992 to October 1993 he was Deputy Minister of Finance in the government of Konstantinos Mitsotakis, with the Public Debt and Public Assets among his responsibilities. In 1994 he returned to Citibank, and in 1996 he founded Capital Partners SA., which deals mainly in strategic partnerships and company takeovers and mergers. 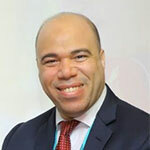 In March 2004 he was elected deputy for the Precinct of Attica and was appointed Deputy Minister for the Economy and Finance, Head of the General Accounting Office. His responsibilities included the formulation and implementation of the Budget, Central Government Debt & Operations, Government Security Auctions, Public Trusts, Loans and Bonds, the Public Corporation for Moveable Assets, Subsidy Programs and Management of Public Funds, the State Bursar’s and Payments Office (State Treasury), Fiscal Relations with the EU, Fiscal Validation of the Ministries, Prefectural Governments and Legal Entities under Public Statute and Civil Servants Pension Funds. In September 2007 he was re-elected MP for Attica and appointed Deputy Foreign Minister for Economic Diplomacy. Rajiv Agarwal is the CEO and Managing Director of Essar Ports Ltd, one of the largest private port companies in the country. 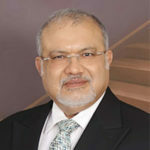 He is a member of several industry committees and co-chairman of infrastructure committee of CII. Mr. Agarwal is a Chartered Accountant with over 30 years of experience and has held leadership position in industries like Ports, Shipping, Telecom, Retail and BPO. 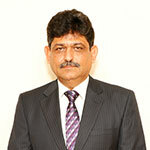 He Joined Essar Group in 1997 as COO in Essar Telecom, he was the ED of Essar Shipping Limited (ESL) from 1998-2002. He was instrumental in setting up several startup companies as CEO like; The MobileStore Limited, Telecom Towers and Infrastructure Limited and Aegis Communications. He also won the CEO of the Year Award in 2009 at the Asia Retail Congress. Captain David Stockley is the Chief Operating Officer of Oman Ship Management responsible for the overall and total management of Oman Shipping’s large diversified fleet of 45 vessels. This fleet includes 15 modern VLCC’s, 4 VLOC, 6 LNG vessels plus several other ships that include 10 states of the art MR 2, IMO2 “silver” tankers on long term charterer to the oil major Shell. He is a veteran of 40 years in the industry and has work for OSMC for the last 7 years. Prior to this he held very senior posts in two publicly listed American Shipping companies. He has sailed on a verity of vessels that included the Sea World (500K Dwt) and the Stena King and Queen (457K Dwt.). He obtained his master’s license in at the age of 29 and was promoted Master on VLCC’s and ULCC’s when only 33. He has sailed with prestigious shipping companies such as KOTC and Stena. His varied roles have included training as a marine pilot and for 3 years as a self-employed SIRE inspector. Prior to coming to sea, he attended HMS Conway as a cadet for 3 years. Capt Jitendra Misra, has devoted 44 years of his life to the Maritime Industry. The start of his distinguished career was as a Deck Cadet with India Steamship Co. in 1971 and he steadily ascended the ranks to become one of the youngest Masters’ in the Indian Merchant Shipping Fleet. After over eight years in command of general cargo ships, container vessels, panamax and capesize bulk carriers, he left the sea in 1988 to take up commercial challenges ashore with a firm in UK. As a lead up to a shore based assignment, he completed the final examinations of the Institute of Chartered Shipbrokers, London in 1988 and came 3rd on the International Merit List. A call from the Middle East brought him to Dubai in February 1990, when he was involved in the set up and commencement of the ship-owning division of the Sharaf Group. His experience, qualifications and hard work enabled him to quickly ascend the corporate ladder. 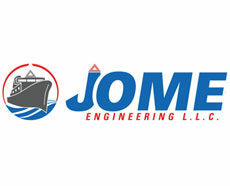 Since 1997, he has been the Managing Director of Emarat Maritime Ltd.
Capt. Jitendra Misra is a Fellow of the Institute of Chartered Shipbrokers, London and is the Founding Chairman of the UAE Branch of the Institute, which was set up in 1995. 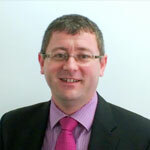 He is also a Fellow of the Chartered Institute of Logistics and Transport, London. 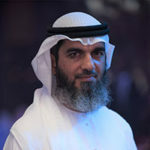 After being the Honorary Corresponding Member for a number of years, he took the initiative to set up the UAE Section and was elected as the first Secretary General. In 2009 he was elected Director of the Baltic and International Maritime Council (BIMCO) and in 2013, became a member of BIMCO’s Documentary Committee. 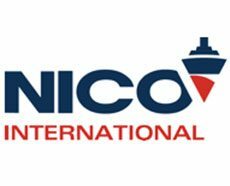 He completes his term as Director (6 years) this year and BIMCO have now co-opted him to the Executive Committee with the intention of making him Chairman of BIMCO’s Marine Committee later this year. Capt. Misra was also instrumental in setting up of the UAE Ship Owners Association in 2005 – now renamed the UAE Shipping Association (UAESA) and served as its first Secretary General. He continues as a Board Member of the UAESA. His contributions to the Industry have been widely recognized by a number of organizations. In order to benefit from his rich experience, Class NK set up their Middle East Technical Committee with Capt. Misra as the Chairman, Lloyd’s Register of Shipping also elected him as a member of their Middle East Technical Committee and American Bureau of Shipping have elected him as a Member of the Society for a 5 year term. In 2009, SEATRADE awarded him with the “Outstanding Achievement Award” and the International Bulk Journal (IBJ) honoured him with the “Life Time Achievement Award” at the inaugural IBJ Bulk Awards ceremony, held in Amsterdam. In 2014, The Institute of Economic Studies, Delhi, awarded him with the Pravasi Bharti Shiromani Puraskar at the “International Global Meet” and he was also awarded with Asian Leadership Global Indian award by Stars of the Industry Group with CMO Asia, CHRO Asia and World CSR Day as strategic partners. Despite a very hectic and challenging work, he remains, at heart, a seafarer and is always looking for innovations in ships and shipping. He has been instrumental and very deeply involved with a leading Japanese Shipbuilder in the design and development of the world’s first Ultra Super Handymax (ULTRAMAX) bulk carrier of 60,341 DWT. The vessel, m/v DUBAI SUN, delivered to Emarat Maritime in 2010, won two ‘Ship of the Year’ awards in that year. This has been a tremendous contribution to dry-bulk shipping, as the ULTRAMAX is now the design of choice for shipowners contracting geared dry bulk carrier newbuildings. A keen sportsman, he enjoys playing golf whenever he gets the opportunity. Tim directs MSI’s oil and tanker market analysis, modelling and forecasting, as well as leading or contributing to bespoke consultancy and research projects. Tim regularly presents on oil and tanker markets to MSI’s diverse client base, including banks, private equity, shipowners and shipbrokers, as well as presenting at conferences and participating in panels and industry events. His views on the tanker sector are regularly quoted by the shipping and financial media. Prior to joining MSI, Tim worked for Shell Trading and Shipping Company (STASCO) and has a BSc in Economics from the University of Warwick. 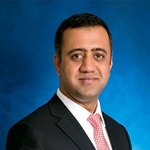 Gaurav Moolwaney is an Executive Director – Shipping Finance with Standard Chartered Bank. Based in Singapore, he is involved in originating, structuring and executing debt and lease transactions in the shipping and offshore space across ASEAN, South Asia and the Middle East. With more than 10 years of broad based banking experience, Gaurav has worked across various international roles based out of Singapore, Dubai and London. Gaurav has a Bachelors Degree from Mumbai University and holds an MBA from National University of Singapore. 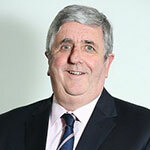 An internationally renowned maritime expert, with over 48 years’ experience in shipping, Stephen has extensive experience at sea, as a qualified Master Mariner with command experience, followed by a career in ship management, culminating in the position of Director Fleet for P&O Nedlloyd. 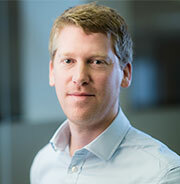 Presently working for DNV GL as a senior principal consultant, Stephen has, for the past ten years, worked with DNV GL’s management consulting arm, with a particular focus on safe operations, cost reductions and latterly safety culture. Mr. Waleed Altamimi joined Tasneef as the Chief Operating Officer in October 2016 with 30 years of maritime experience from the UAE Navy, Abu Dhabi Shipbuilding and Abu Dhabi Ports. He started his career in the UAE Navy as a Midshipman in 1986 and obtained his Naval Architecture Degree from US Naval Academy. He was the first UAE engineer to involve classification societies in Naval Construction. Then he moved to ADSB in 2004 as a Technical Manager responsible for design management of Baynunah Corvette Construction program. Mr. Altamimi Joined Abu Dhabi Ports in Nov. 2008, taking important responsibilities for the development of numerous ports including the state of the art Khalifa Port. A senior executive with over 20 years of experience, June is presently a Director at one of the largest marine lubricant organisations in the world, Lukoil. During her career June hasn’t just broken the proverbial glass ceiling. She has shattered it. In a largely male dominated industry, her determination and appetite for challenges has proven her sceptics wrong. Time and time again. June came to the Middle East in the early 1990s, initially working for BP in both Oman and Dubai. Then in 2010 she was approached by Lukoil to set up a marine lubricants operation in the region. She has not looked back since. She currently oversees the Lukoil Marine Lubricants business for the Eastern Hemisphere, which stretches from Africa to Australia. Having set up offices in Middle East, Hong Kong, Singapore and representative offices in South Africa, India, Japan and China, the company has recently ventured into Australia as well. 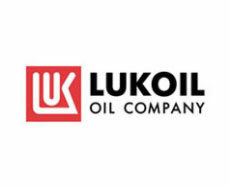 With June at the helm, Lukoil now enjoys an impressive 50 percent marine market share in the Middle East and 12 percent overall globally. 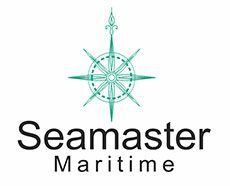 An active member of the WISTA (Women’s International Shipping and Trading Association), June is also a big supporter of Mission to Seafarers. 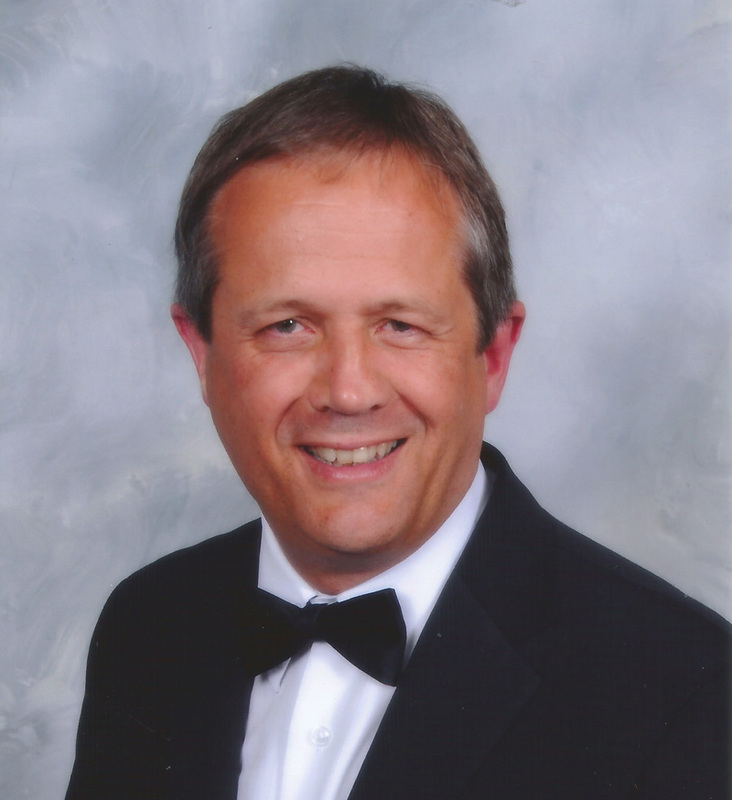 Peter Sahlen has been the Research & Development manager for the Alfa Laval PureBallast ballast water management system since 2014, and is responsible for the development and maintenance of the PureBallast products and their compliance with IMO, USCG and class regulations and requirements. He has participated in IMO Marine and Environmental Protection Committee (MEPC) meetings and played an active role in the development of the revised IMO 2016 G8 Guidelines for type approval testing. 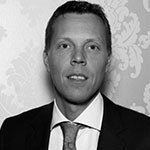 Roger Harfouch is the Sales Director responsible for the development of business in the Middle East and Africa region for Marlink, the global innovative provider of satellite- enabled solutions. Based in our regional office in UAE, Roger joined the Marlink Group as Senior Account Manager in 2007, back when the company was known as Vizada. Roger’s role involved taking care of channel sales and business development in Middle Eastern, African and European countries to develop the Maritime, Offshore & Oil Gas sectors. 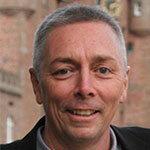 Roger has 18 years of experience in the telecom industry within the maritime sector. 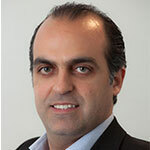 Having graduated as a Telecom Engineer from Notre Dame University in Beirut, he went on to work for some of the largest ISPs and satellite providers, such as USAN, Viasat, Vizada, Airbus Defence & Space, and Marlink. With his vast experience, he was promoted as Sales Director under the Marlink Group in 2013 taking on the responsibilities of direct sales activities within Maritime & Offshore Sectors in Middle East and African markets, including Turkey. Eng. Ibrahim Fahmy, Egyptian born in Alexandria city, 41 years old, Marine advisor for Offshore & Marine Projects with 18 years’ Experience covered multi areas in marine industry [Engineering, Project Management, Installation, Subsea and HSE]. He worked in the execution of several remarkable Offshore and Marine projects in Egypt, UAE, UK, KSA & Qatar. Ibrahim was the winner of ADNOC HSE AWARD in 2013 and 2017-SPE Regional Award for Projects- Middle East and India. He had been selected 4 times as Judging committee member for the worldwide prestigious IPTC Award in Mega projects since 2014. He chaired several International conferences/Technical Projects Committees to serve the offshore and Marine industry to share knowledge to colleagues in other companies/regions. He was Chairman of ADIPEC Offshore and Marine Technical Conference since 2014. 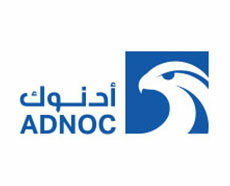 He served 9 years in ADNOC Offshore since 2009 (Merged ADMA OPCO and ZADCO). Before that, he served eight years between 2001 and 2009 with International Marine Giants, Oil & Gas EPC Contractors, includes (Timsah-Suez Canal Authority, Petrojet-PMS, Saipem-Eni, Subsea7 UK and NPCC). Ibrahim hold BSc in Marine Engineering and Naval Architecture from Alexandria University and Post Graduates in Subsea Engineering from University of Aberdeen.